Well almost. I just can’t bring myself to think that at the stroke of midnight, we will enter a New Year. There are many parts of 2012 I will gladly remember and other parts I will just as gladly leave behind. One of the parts I look forward to continuing in 2013 is the weekly BFF Open House Link Party which I hope you all will continue to link up to. I have some other thoughts about the blog I’ll share in a different post but for now, thanks for hanging in in 2012 and hope to see everyone just as much in 2013. Now, for our last set of features for 2012, here we go. 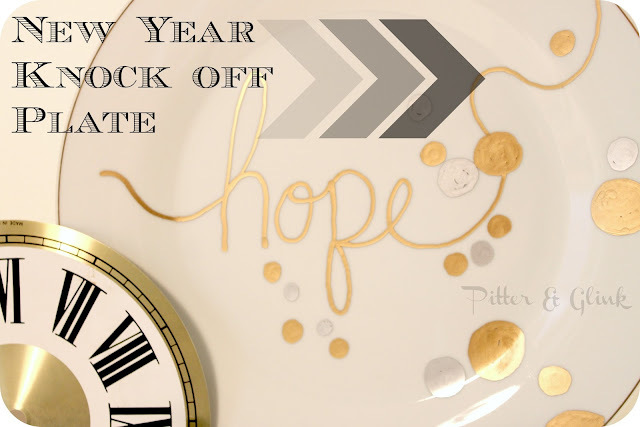 If you need a high style low cost way to decorate for New Year’s , then you need to see what Bethany at Pitter and Glink did with a dollar store plate and paint pens. Must be a pink blog New Year’s thing because Pinkopatamus has a wonderful tutorial on how to make a great New Year’s hat. If you already have a dessert picked out, I’ll bet it could only be made better with some chocolate sauce because what can’t be made better with chocolate sauce? OK some things. Maybe. But not many! This recipe from Cath’s Cookery Creations would be great to have on hand just in case. Wishing you all a peaceful and joyous New Year. Fighting off some sort of bug today so wasn’t up for tackling anything too hard. Sometimes though, the easiest things turn out to be those you love the most. I fell in love with this Mud Pie bead mix from Blue Moon Beads the second I saw it. My colors and style 1000%. This is one of the mixes that’s available exclusively at JoAnn’s. It’s a mixture of filigreed metal, wire mesh wrapped, and metallic colored beads. I decided the beads were so awesome they needed to be used simply. What’s simpler than stretchy cord? I keep seeing fun stretchy bracelets at places like Nordstrom for $50 and up. If you can tie a knot, you can make enough of your own bracelets to match your entire wardrobe for the price of one. I started stringing with no patter in mind. Just grabbed beads from the tin until it was the right size. I don’t pre-cut my cord, but leave it on the spool and string my beads on until I’m happy with the size. I had these smoky grey faceted charms in my supplies and decided they’d go great on this bracelet. I added these after the bracelet was complete and put them on using silver jump rings. Again, just kind of eyeballed the spacing. While I was provided the beads for this project as a member of the Blue Moon Beads design team, the pricing is such that these are an affordable way to achieve a high fashion look. Yikes. I got all turned around and forgot what day it was and almost missed putting up my own party. Welcome to the last BFF Open House of 2012! 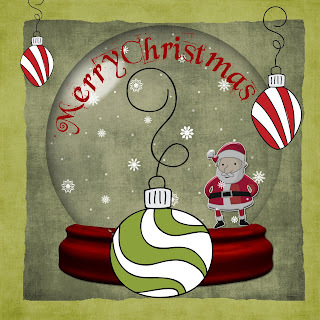 I hope everyone had a wonderful Christmas and is busy with plans for New Year's Eve. Ours are always very low key. I think this year we'll celebrate at midnight London time which will be about 5PM our time lol. Now that Christmas is over, I can share a couple of projects that I made as gifts. This necklace was one of the December designs for the Blue Moon Beads design team. I started with this mix of supplies including this mixed metal pendant. I took off the ends and used it sideways versus a dangling pendant. I used a combination of gold chains and chain pieces and didn’t have any set design in mind but just kind of went with whatever seemed to make sense. I used some coordinating beads from a toffee themed mixture to balance it out. Strung all of it together on a dark brown suede cord and added some coordinating beads from my stash. Can't believe it's Christmas already. Wishing you all of the joys of Christmas and time spent with family and friends. Thank you to all my readers for another fun year. 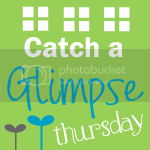 I was playing around in My Memories Suite and PicMonkey. 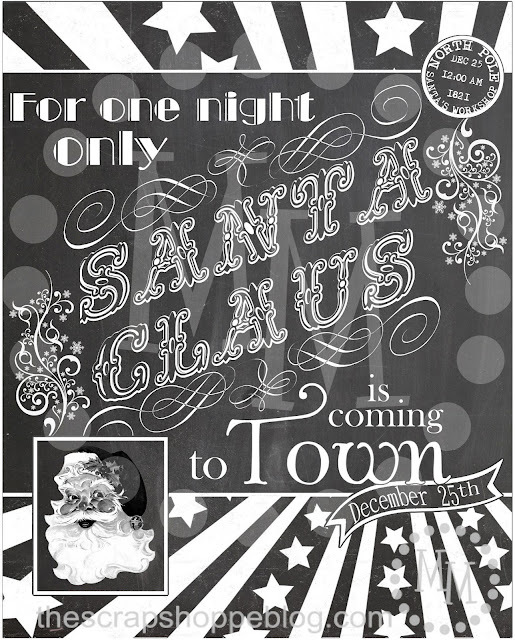 Originally I was going to do our Christmas menu and then I realized, no one actually reads it, they just eat. So I decided on the above Dickens quote since for as long as I can remember, I have loved "A Christmas Carol". I really like the chalkboard background ideas I've seen around the interwebs so I had fun playing with these. Click on image to bring to full res. Right click to Save As. Re-size as appropriate in your digital editing program. If you download, a follow isn't required ( but appreciated !) . Would love to see how you use. Well, here we are, the last party before Christmas. Hard to believe . Fess up, who's got EVERYTHING done? Not me! Hopefully Friday will be full-on baking day and then Saturday I will be staring at the clock, willing the plane bringing my College Boy home for the holidays to go faster and faster. So without further delay, let's see what all you busy elves have been up to this week. Remember, it's a party! Go visit some other links and/or bring a friend to link up. Like everyone else, I continue to be emotional over the events of last Friday in Newtown CT. The more we learn about the children and educators whose lives were taken, the more emotional I get, and I didn't think I could get more emotional. I have a need to channel my emotions into something productive, usually something creative ( or chocolate!). So when I read on Mom Endeavors about the following idea, I knew I had to share it with my creative readers. When school resumes for Sandy Hook, it will be in a new build­ing. Parent-volunteers want to ensure that the stu­dents are wel­comed back by a win­ter won­der­land with the entire school dec­o­rated with as many unique snowflakes as pos­si­ble. So, please help the stu­dents of Sandy Hook have a win­ter won­der­land at their new school! Get cre­ative as no two snowflakes are alike!! I am for sure putting my Christmas dinner guests to work on this project. Whether you're crafty or not, everyone can make a snowflake. Just like us they don't have to be perfect to bring about a smile. Michele over at The Scrap Shoppe shared this adorable vintage Broadway style poster that I just adore. She’s got it available for download in this chalkboard version as well as one in reds and greens. Pop over to The Painted Apron to see the cutest kid table idea ever. I wouldn’t be any hurry to sit at the grown up table if I got to sit at this adorable one. Sarah from Alderberry Hill shared her crisp and clean black and white Christmas Subway art. Yes, I know every song! And this week’s chocolate feature is from Julie at White Lights on Wednesday. Dark Chocolate Orange shortbread. Yum! Thanks again to everyone who linked up. Can you believe we’re just a week away from Christmas?! Make it a creative week! When I received a supply of beads from Blue Moon Beads to play with, I knew I’d use this collection for something Christmasy. I wasn’t sure what. Then after playing with my French Script paper mache ornament idea, I knew. OK I mostly knew! I gathered up some of the supplies I’d been sent. My “creative process” is to have a bunch of stuff out and then see where it takes me. This idea came from a mixed bead tin called appropriately, Red Velvet. I mixed in some glass pearls that were also in my supplies. I grabbed some eye pins and then added some of my bead mix. I stamped my plain paper mache ornaments (more detail here) and then pierced the bottom of each ornament with a needle. Threaded my beaded pin through and secured with a dab of super glue. Then went around the edges with metallic red glitter. Embellished with self adhesive rhinestones and pearls, but I think the beaded ends make all the difference. It's already party time again. Our halls are as decked as they're going to get and we're getting there on the rest. I'll be floating as high as a Macy's Day Parade balloon in 9 days when Santa brings College Boy home! Not that I'm counting down the days or anything. Nine days. NINE DAYS. Thanks to everyone who participated in the two giveaways I recently had for My Memories Suite SW and Pick Your Plum. Winners have been notified. I may have another fun one coming up next week so be on the lookout. 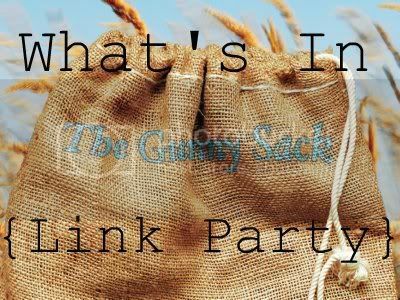 Now, let's see what everyone's been up to and don't forget, it's a party so go mingle and make some new bloggy friends ! Did I mention 9 days? Sometimes I get an idea in my head that I execute on exactly as conceived. Other times, not so much. Such was the case with these. I found these ornament shaped paper mache ornaments somewhere after Christmas last year. I initially planned to use Christmas scrapbook paper and Mod Podge to cover them but then I looked at my stamps and since I was going for a vintage shabby feel , just decided to stamp directly on the ornaments. I used stamps by Tim Holtz Visual Artistry collection with a French theme. I randomly stamped a couple of the images all over my ornaments. No particular pattern in mind. Using Mod Podge as my adhesive, I went around the edges and applied silver glitter. Applied a scrap of washi tape to the top and then grabbed some self adhesive rhinestones and pearls from my stash ( a great way to use up strays) and just kind of went wherever. My railings this year are very simple with some sheet music ornaments I made and others I bought on sale at PB after Christmas so these fit right in. I like that they’re not perfect and remind me of something old and found. Easy Christmas Signs "Joyeux Noel"